Jack Holmes is suffering from unrequited love—and it doesn't look as if there will ever be anyone else he falls for, as the men he takes to bed never stay for long. Jack's friend Will Wright comes from old stock, has aspirations to be a writer and, like Jack, works on the Northern Review. In Edmund White's "wise, funny, sympathetic, and richly entertaining" novel (Independent, London), Jack will introduce Will to the beautiful, brittle young woman he will marry, but is discreet about his own adventures in love—for this is 1960s New York, literary and intense, before gay liberation: a concoction of old society, bohemians rich and poor, sleek European immigrants, and transplanted Midwesterners. Against this charged backdrop, the different lives of Jack and Will intertwine, and as their loves come and go, they will always be, at the very least, friends. "His narrative [has] a real density and weight," wrote Colm Tóibín in New York Review of Books. "In the dramatization of suburban life there are elements and echoes of Richard Yates's Revolutionary Road and T.C. Boyle's The Tortilla Curtain; in the exploration by an outsider of class and privilege there are elements and echoes of The Great Gatsby, Brideshead Revisited, and The Line of Beauty. 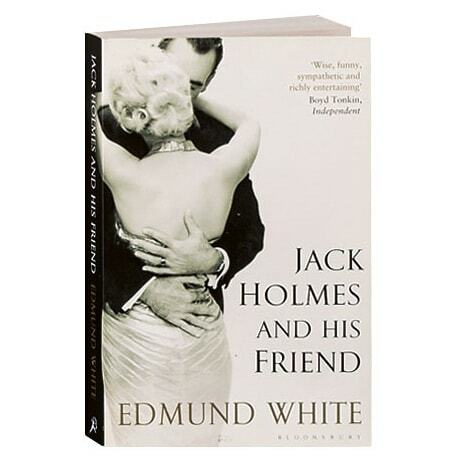 It is also possible to find traces of The Age of Innocence in the way a changing city and a disappointed sensual hero are drawn.... Jack Holmes and His Friend is a comedy of manners, which ingeniously uses the system of doubling the gay hero by offering him an alter ego who is straight. This allows White to move with relish between a man who makes his friends his family and a man who makes a family."